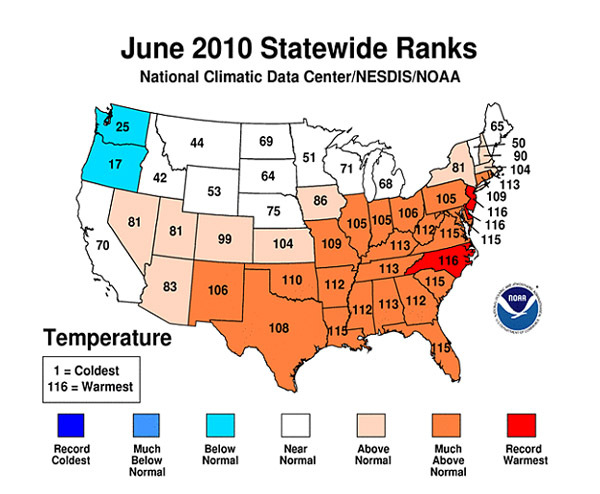 February 2011 was near normal for both temperature and precipitation averaged across the contiguous United States, according to the latest NOAA State of the Climate Report issued today. 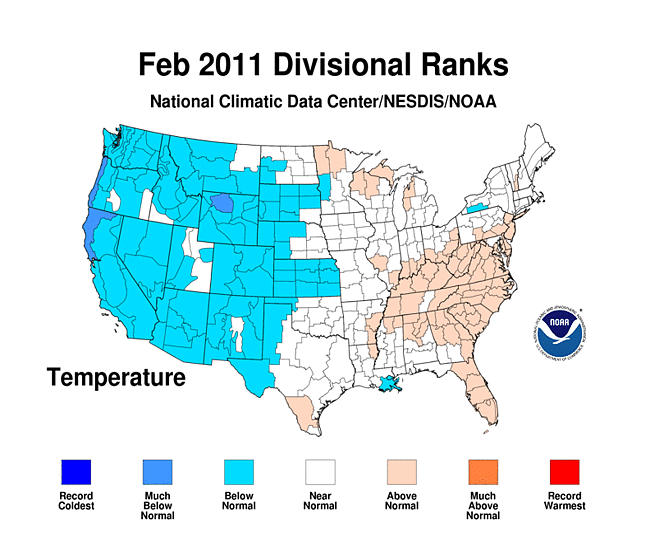 The February average temperature was 34.0 F, which is 0.7 F below the long-term (1901–2000) average. 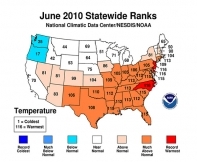 Last month’s average precipitation was 1.81 inches, 0.21 inch below the same average. 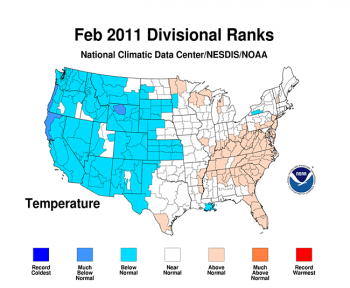 February marked the end of the meteorological winter (December–February), which featured below normal temperature and precipitation for the three-month period.